The Goodman Institute is the only right-of-center think tank that has called for major reforms in Medicare, and a number of those reforms are being implemented by the Trump administration. We have also produced the only estimates of the lifetime benefits of tax reform. 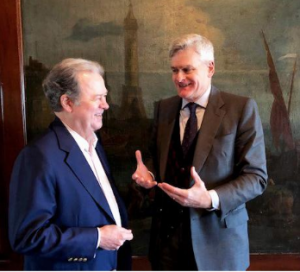 Sen. Bill Cassidy (R-LA) sponsored a fundamental health reform measure with the help of Goodman Institute president John C. Goodman. 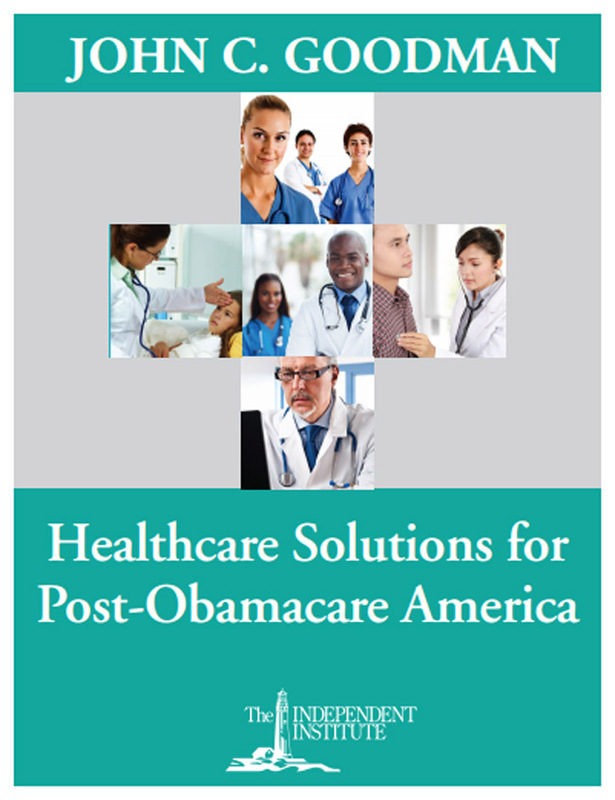 Cassidy and Goodman are now working on an Obamacare reform that could enjoy bipartisan support. Democratic candidates for office often rail against the idea of privatizing Medicare. AARP frequently parrots the same message. Yet 10.4 million people who think they are in traditional Medicare are actually in a private-sector Accountable Care Organization (ACO), with essentially the same economic incentives as the hated HMOs of the 1980s. It was done because of Obamacare! Seniors in ACO plans are not actually enrolled. They are assigned – without their knowledge. Although President Obama never used the words “privatization” or “managed care,” ACOs are mainly private, managed-care companies. Not only did the Obama administration never tell seniors they were participating in a grand experiment, it’s illegal for an ACO to tell a senior anything about the arrangement unless the message is approved by the federal government. This experiment has largely been a failure. 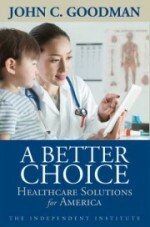 ACOs are neither saving money in the aggregate nor are they improving the quality of care. This is in contrast to private Medicare Advantage plans, in which one third of seniors are enrolled. MA plans have reduced costs and improved the quality of care. At the end of the line, ACOs will look more and more like Medicare Advantage plans. 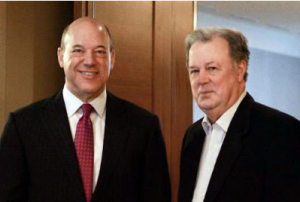 Ari Fleischer worked for House Ways and Means Chairman Bill Archer at the time he called John Goodman the “Father of Medical Savings Accounts”. Goodman and insurance executive Pat Rooney helped Archer pass the first legislation creating savings accounts for health care. After hip and knee replacements at Tallahassee Memorial HealthCare, patients are transported to rehab facilities, nursing homes and even to their own homes — where follow-up observations are made with video cameras. The problem? Medicare doesn’t pay for any of this. Federal law (the Social Security Act) allows Medicare to pay for telemedicine only under strictly limited circumstances. For the most part, doctors can examine, consult with, and treat patients remotely only in rural areas. Even there, they can’t be treated in their own homes. Alone among U.S. think tanks, the Goodman Institute has consistently urged the federal government to bring Medicare into the 21st century. The Trump administration is responding. By reclassifying some communications as “virtual care,” the Centers for Medicare and Medicare Services is acting aggressively to change the rules. As of January 1, 2019, doctors in Medicare Advantage plans and Accountable Care Organizations (ACOs) now bill Medicare if they use the phone, email, Skype and other technologies to consult with patients remotely to determine if they need an in-office visit. Patients can be anywhere, including their own homes. Doctors can also bill Medicare to review and analyze medical images patients send them. Who Gained from Tax Reform? Everybody came out ahead. Or, almost everybody. In order to assess the winners and losers, we need some ground rules. Goodman Institute Senior Fellow Laurence Kotlikoff and his colleagues have done the pioneering work needed to do the analysis properly. 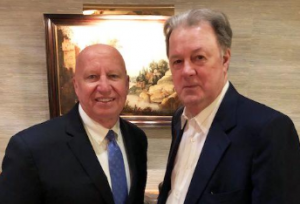 As Chair of the House Ways and Means Committee, Kevin Brady introduced a corporate tax reform measure that was largely the brain child of Goodman Institute scholars Laurence Kotlikoff and Alan Auerbach. The measure formed the basis for tax reform that was ultimately enacted in 2017. As Kotlikoff pointed out in a recent article in The Hill, if you want to compare the wellbeing of people in our society, don’t look at income or wealth. Look at consumption. Don’t compare 20-year-olds with 80-year-olds. Compare people of the same age. Don’t overlook 30 different federal entitlement programs which redistribute an enormous amount of income every year. And don’t look at the effects in only one year. Consider the lifetime effects of tax law changes on taxes, transfer payments and the ultimate economic bottom line — consumption. The average lifetime gain for forty-year-old families in the middle fifth of the income distribution is $22,394 from the tax cuts directly. Their gain is $53,006 when expected economic expansion is factored in. Even families at the bottom of the income ladder gained – with an average increase of $4,834 from the tax cuts and $13,533 with a larger economy. The top 1% had bigger gains, with averages of $272,933 and $869,478. But that’s because they pay 20% of the lifetime taxes of this age group. By contrast, families in the bottom fifth of the income distribution pay only 3%. Despite claims that tax reform mainly benefited the very rich, the economists find that the new tax system is just as progressive as the one it replaced. Families in the middle fifth of the income distribution can expect to enjoy 14.1% of the total lifetime consumption of their 40-year-old age group – both before and after tax reform. The share of consumption by the top 1% rises slightly – from 14.4% to 14.5% as a direct result of the tax cuts but falls to 14.3% after potential economic expansion. House Minority Whip Steve Scalise discussed a Goodman Institute proposal for Tax Reform 2.0 with John Goodman in Dallas. Our fiscal system remains highly progressive, especially when transfer payments are taken into account. Families in the bottom fifth of the 40-year-old income distribution have a lifetime tax rate (net of entitlement benefits) of – 88.6%, meaning that they get receive almost 89 cents in after-tax benefits for every dollar they earn. For families in the top 1%, the rate is 34.3%. 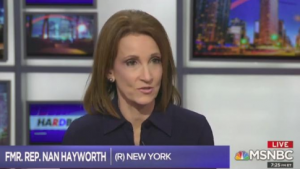 Goodman Institute Board Member and former member of Congress Nan Hayworth tells Hardball that the president has broad authority to declare national emergencies under federal law. During the first quarter, Goodman Institute scholars were prominently in the news. In a Wall Street Journal article, Senior Fellow Thomas Saving and former U.S. Senator Phil Gramm said that the Federal Reserve System is paying banks not to lend money. Why? Under an Obama era policy, banks can often do better holding reserves on which the Fed pays interest rather than lending to private borrowers. Senior Fellow Laurence Kotlikoff calculates that the unfunded liabilities of the federal government now total $239 trillion. Senior Fellow Linda Gorman warned in The Hill that President Trump’s ideas on drug prices may backfire. NCPA board member Nan Hayworth told Fox News that too much regulation is the single biggest economic threat we face. Writing in Forbes, John Goodman proposed a way that Republicans and Democrats can strike a deal on health reform. At the same time, he warned that socialism in health care has unattractive features that Americans won’t like. He also cautioned readers not to read too much into phony numbers on health care spending abroad. 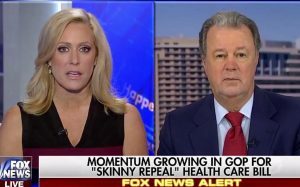 Goodman said that all too often Republicans lose health care debates because of four mistakes – mistakes that can easily be corrected.